You know jazz. 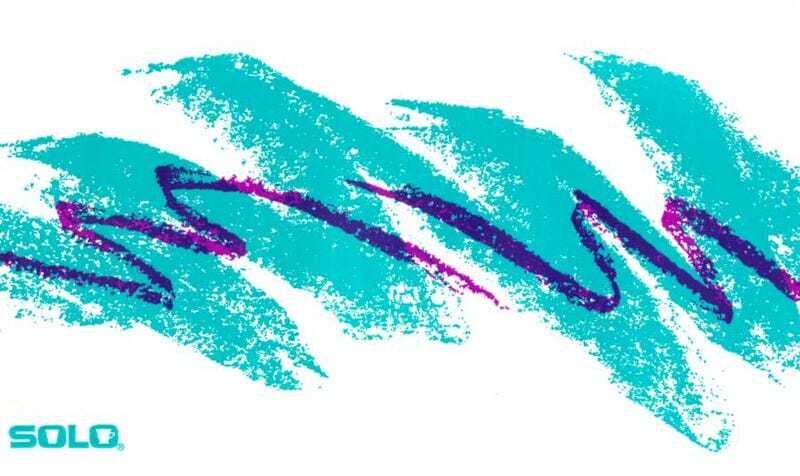 Even if you don’t know it you know it: A jagged oil-crayon scribble of teal, laced with a zig-zag of purple, found on paper cups and plates all over the country through the 1990s. Jazz has long had a cult following, but its designer had always been lost to the sands of time. Despite the explosion of interest in Jazz over the past few years—thanks to 90s nostalgia, and Tumblr, and maybe the carpet of the Portland Airport—folks have tried to no avail to find out who created the pattern. Last week Thomas Gounley, Watchdog Reporter for Missouri’s Springfield News-Leader, took notice of the Jazz community’s plight, and decided to do a little investigative reporting. Gounley—along with Reddit—took on the project of tracking down the designer who, at that point, was only known as “Gina,” an employee of the Springfield-based Sweetheart Cup Company in the 1990s. The story qualified as local for News-Leader since the design emerged from Springfield, but it touches on the strange power of online communities, mid-90s nostalgia, and the “lost” designers behind the ubiquitous but author-less design that’s all around us. Google results for jazz cup: Nail art, clothing, and fan parodies. I won’t spoil the full story of how Gounley tracked down Gina Ekiss, now 50 and still in Springfield, but it’s patently great. As she recounts, she designed the pattern as part of an internal competition at Sweetheart—and didn’t even get a bonus for winning. Maybe the knowledge that her work took on a life of its own—and that thousands of people were searching for her identity—is a little consolation. You can read the full saga of how Gounley found her here.